The 17024 Compliance Handbook contains succinct, authoritative advice about how to prepare a certification that complies with ISO/IEC 17024. Welcome to Authentic Testing Corporation (AuTe), home of the 17024 Compliance Handbook. Our printed and digital materials are all prepared with authoritative advice about how to prepare a certification that complies with ISO/IEC 17024:12. Written by Dr. Wallace Judd, Ph.D., the handbook is an invaluable resource for anyone engaged in developing or maintaining an accredited certification program, and essential if applying for accreditation under ISO/IEC 17024:12. AuTe provides guidance for conducting internal audits, illustrates best practices gleaned throughout the certification industry, and provides guidance to create or maintain a certification program. Verification that you meet the exacting standards of 17024. Assurance to regulatory bodies that your testing program is developed according to exemplary professional practices and sound psychometric principles. Evidence that your testing program is engaged in continual improvement. Documentation of the principles and practices that underpin your certification program. Assurance to certificants that your appeals policies are timely and fair. Testimony in legal proceedings that your program aspires to standards of international excellence. Can a member of the IAPP Board of Directors sit on a certification board (or is this, as we suspect, a threat to impartiality)? I agree with your potential threat. Usually the Certification Advisory Board will have a non-voting liaison member on the Board of Directors for communication purposes. But having someone from the BOD on your Advisory Board could be intimidating. 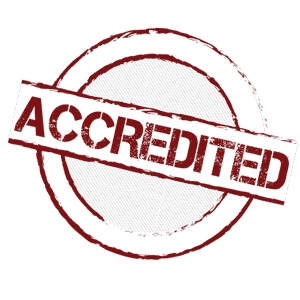 Dr. Judd is one of the most knowledgeable people in the industry regarding accreditation, and ANSI/ISO 17024 certification in specific. I to find the book to be an invaluable resource for interpreting the ANSI/ISO 17024 standard. The Compliance Handbook was a quick immersion introduction of our staff to the rules, regulations and intricacies of 17024. It is a great resource for our staff to learn the requirements and rules of 17024. Our staff refers to the Compliance Handbook for tips and tools while working on audits and reports for 17024. I have been working in the certification field for more than 20 years and find the Compliance Handbook assisted me in interpreting and understanding the requirements of ISO/IEC 17024. It is a wonderful reference.